Compact pedalboard ready to pack up and carry. The new updated Pedaltrain 2 is even better for your guitar effects. 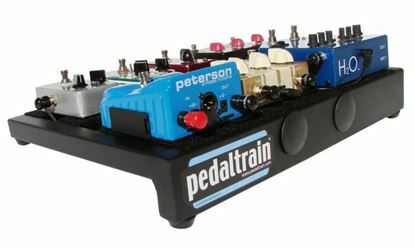 New improved Pedaltrain 2, the classic pedal board for guitarists. Now available with an aluminium tour case. A compact pedalboard that is ready for the road. Or the air. 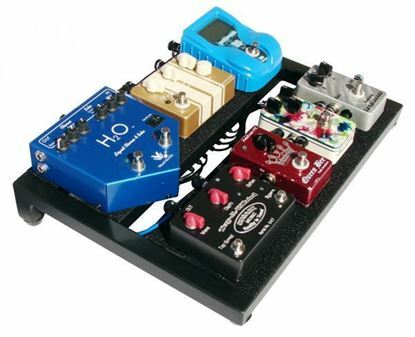 This solid guitar pedal board is 450 x 316 mm and has a soft bag to carry it all in. 32x22x6cm internally - fits 3-4 standard guitar effects pedals. 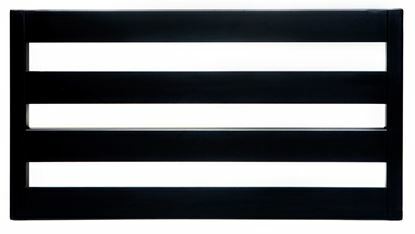 56x30x9.5cm internally - fits 8 standard guitar effects pedals. A very popular guitar effects pedal road case that fits a wah and around 8 pedals.